Celebrating Christmas with small children is a joy, but it can also be stressful, expensive and chaotic. I try and do the majority of preparation before the schools break up, so that I don’t have to drag my kids around the shops, and I prefer entertaining them at home with Christmas activities. This year we have made some brilliant festive displays from materials that we already had. I also discovered ‘mantle clips’ which are great if you want to hang decorations or stockings from your fireplace without damaging the wood. These were perfect for hanging our garland and cost around £3 for four. 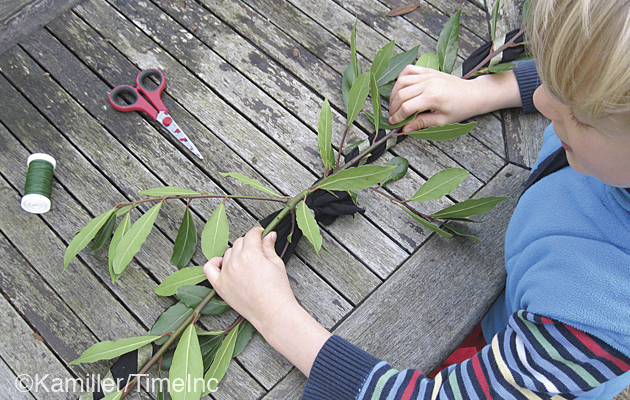 It’s easy to create a professional-looking garland from foliage from your garden. 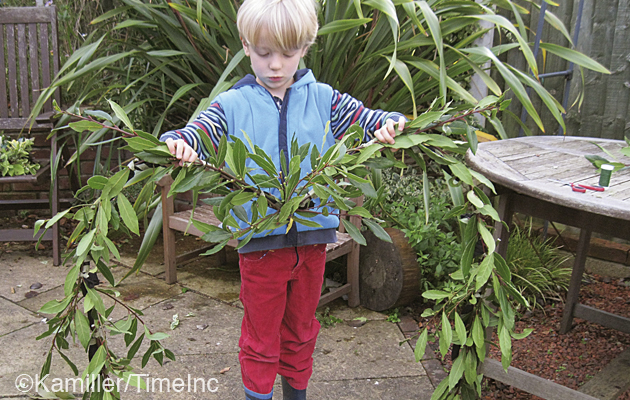 We only used bay and ivy to make ours, but you could use any evergreen foliage such as fir, holly or yew. 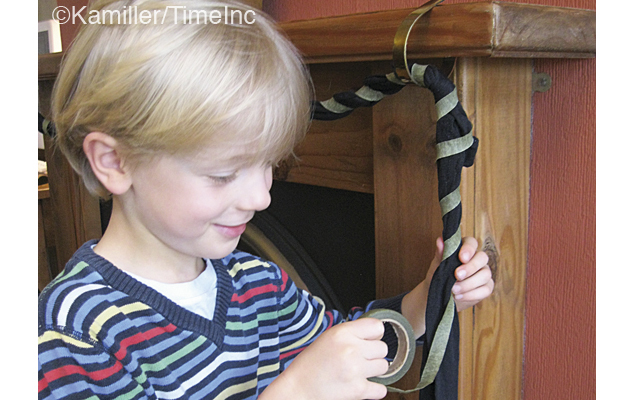 Step 1) We tied the legs of two pairs of tights together to make a simple, light ‘rope’. 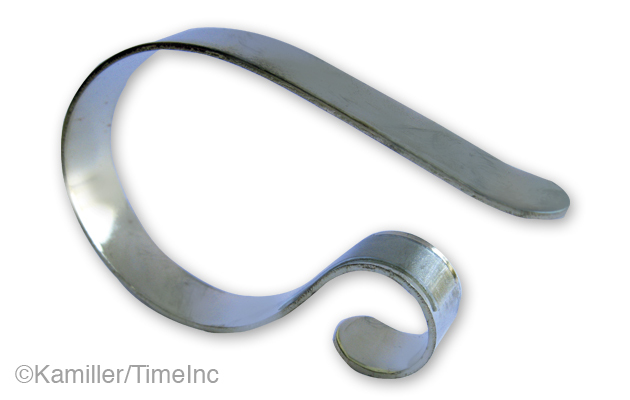 To avoid using permanent fixings in the fireplace surround, we used mantle clips (inset). Step 2) We checked the length of the garland and it’s final position, then marked the hanging points (which were roughly where the knots had been tied). 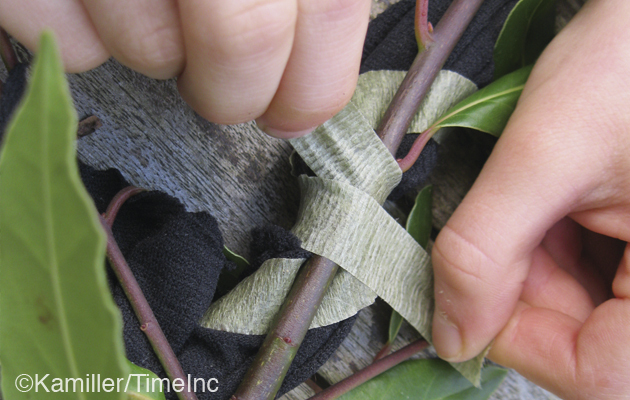 We bound the tights ‘rope’ with florist tape. Step 3) Working from the centre point outwards, we bound sprigs of bay to the garland making sure not to overlap the hanging points. This ensured that it would be flexible and hang in an attractive shape. Step 4) Paper florist tape sticks very firmly to itself, so binding the tights with it first helps with attaching foliage later. We found that binding each sprig to the garland in two places was sufficient. Step 5) We checked that the garland was well covered and that foliage was evenly spaced. I was glad that I remembered to check for creepy crawlies at this stage (we removed 2 snails!) and working outside meant less clearing up for me. 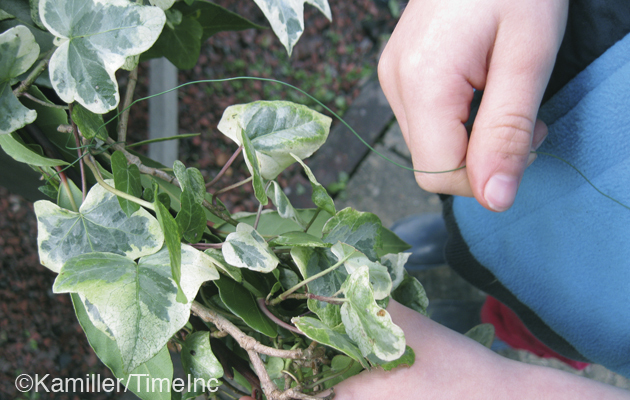 Step 6) We wound the ivy around the garland and we used thin green wire to keep it in place. Attaching Christmas baubles is best saved until last when the garland is in its final position. We used plastic baubles to avoid breakages. 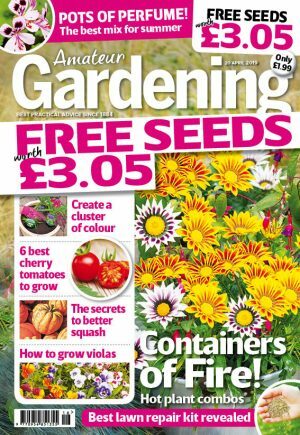 Dont’t forget here at Amateur Gardening magazine we love to see pictures of all your creations – so why not email us a picture to amateurgardening@timeinc.com.